Citing examples such as Melbourne, Detroit, and Blackpool in the United Kingdom, the presentation outlines practical strategies and tactics for preparing cities for mega-trends such as climate change, a growing urban population and weak infrastructure. Lawrence also delivered a variant of this presentation at the most-recent International Green Building Conference in Singapore and discussed similar content with BBC World News — an international, 24-hour news and information channel and BBC's biggest television service — as well as Inhabitat.com — a blog devoted to the future of design, tracking innovations in technology, as well as practices and materials that are pushing architecture and home design towards a smarter and more-sustainable future. 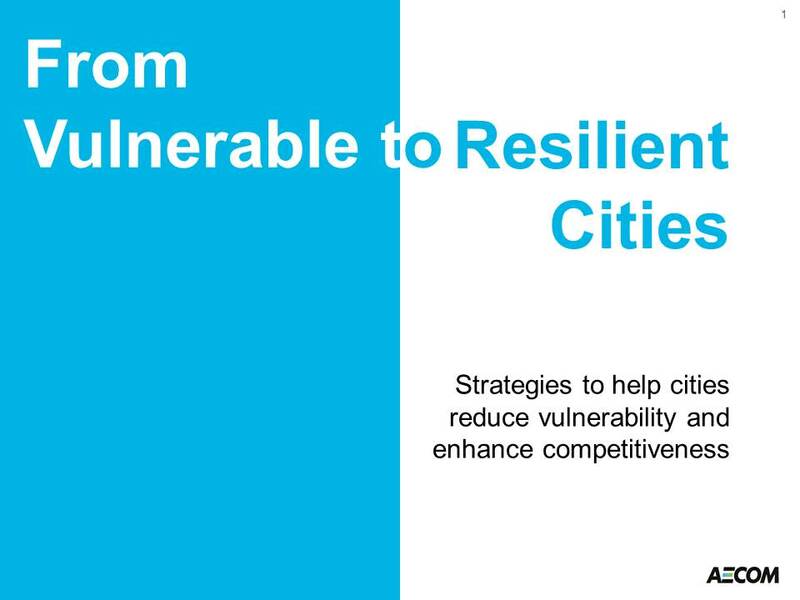 The slides can be accessed at http://www.slideshare.net/AECOM/from-vulnerable-to-resilient-cities.